Good trekking options in this area are almost unlimited, and there are many exciting roads to cycle, so time rather than a lack of ideas is likely to be the constraining factor on any trip. It is important to factor in time to reach the region, and allow a couple of days at the beginning in Huaraz or another mountain town, to aid acclimatization. 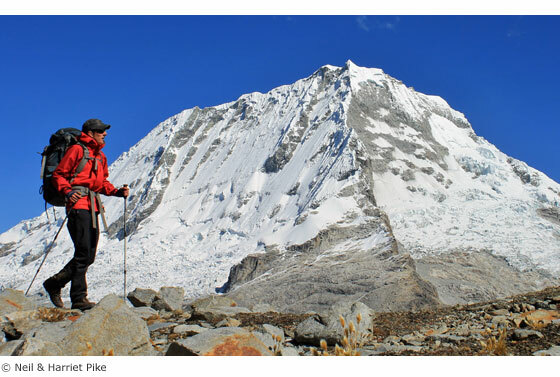 Starting with some of the easier day trips, before setting out on a longer, more strenuous hike/ride, will not only improve your chances of enjoying your time in the mountains but will also reduce the risk of suffering from Acute Mountain Sickness (AMS). The suggested itineraries below are for those arriving unacclimatized. â— 7-10 days Do some day hikes near Huaraz before a short multi-day trek such as Santa Cruz, Laguna Ishinca or Quilcayhuanca – Cojup. â— 2-3 weeks After some acclimatization, tackle one of the classic longer treks in the region – the Huayhuash Circuit or Santa Cruz – Alpamayo. â— 1 month Do the above, adding in a trip to the quiet Callejón de Conchucos; or, walk both the Huayhuash Circuit and Santa Cruz – Alpamayo. â— Off the beaten track Try a trek in or to Conchucos, like Carhuascancha or Raria. Closer to Huaraz, explore Quebradas Akilpo or Rurec. â— To see ruins Head to Yayno on the Santa Cruz – Alpamayo Circuit, or spend a day in Chavín before or after one of the many routes near the town. Closer to Huaraz, visit Wilcahuaín or Honcopampa. â— To avoid camping Stay at the refugios in Quebrada Ishinca, or explore the quebradas above Huaraz or Yungay from the comfort of a luxurious lodge. 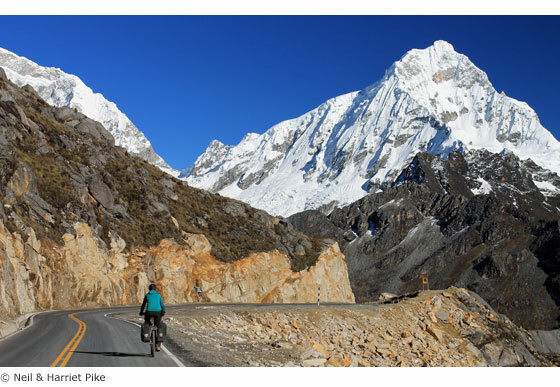 â— 10 days to 2 weeks Warm up with day rides near Huaraz, then spend your time pedalling the Cordillera Blanca’s classic route, the Huascarán Circuit. â— 3 weeks Cycle the Huascarán Circuit before heading off for the Huayhuash Loop or trips into the hills above Caraz. â— 1 month This is enough time to cycle the Huayhuash Loop, then a circuit of the whole Blanca, including crossings of Punta Olímpica and Llanganuco.